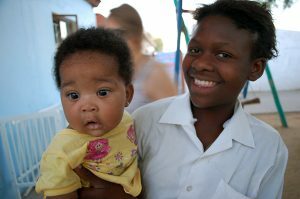 The Crown of Light team has formed a partnership with the Namibian community through supporting Baby Haven. For more than a decade, Baby Haven has been a home for the abandoned and orphaned children of Katutura in Windhoek, the capital city of Namibia. 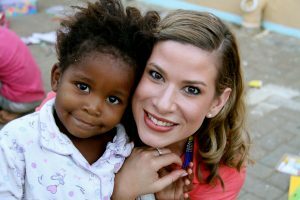 What makes Baby Haven so special is its’ determination to treat all of the children in their care equally, regardless of HIV diagnosis. 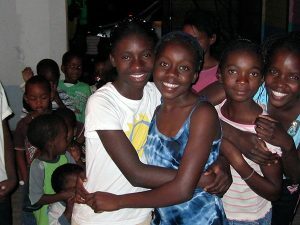 The shelter provides the resources for these resilient children, as well as other children living elsewhere in the community, to attend school, get proper medical care, and feel loved. Baby haven is determined to give the children in their care happier, healthier, and longer lives. On the wall it is painted in bright colors, “No weapon formed against me, shall prosper”, as a constant reminder to the children that there is always hope. The Crown of Light team is honored and proud to be a part of this incredible project.